HB Kruger and Amy McDougall took no prisoners in the Fedhealth MTB Challenge +- 60km/Marathon at Boschendal Farm Estate (The Retreat) on Sunday, 16 September 2018. 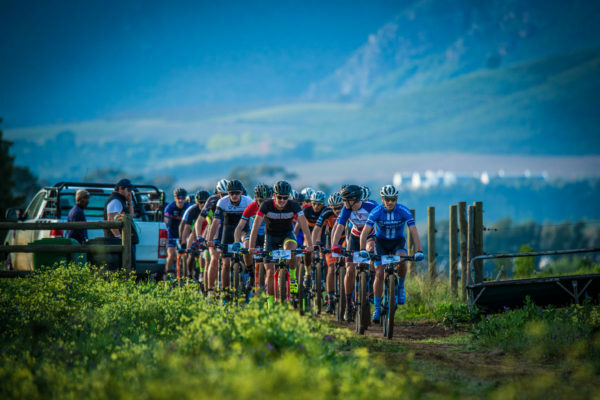 With three events to choose from (a +-60km/Marathon; a +- 30km/Half Marathon and a 15km Fun Ride), the 4thannual Fedhealth MTB challenge catered for all levels of mountain bikers, delivering plenty of mountain biking challenges, heaps of family fun and a scenic day out of the city. Crossing the finish line in 02 hours 31 minutes 01 second, Kruger was very happy to successfully defend his title on the day. Nicol Carstens came in second, while Dylan Rebello finished third. Marleen Lourens came in second, while Frankie du Toitfinished third. Johan van Zyl came in second, while Leon Claassenfinished third. Van Heerden crossed the line in 01 hour 25 minutes 28 seconds. Oliva Penfold came in second, while Caela Whall finished third. Jeandre Ungerer crossed the finish line first in the men’s 15km Fun Ridein a time of 33 minutes 41 seconds. Helgardt Nortje came in second, while Robert Phillip Nieuwenhuizen finished third. Megan Scholtz was the first rider home in the women’s 15km Fun Ridein a time of 40 minutes 11 seconds. Zoe Green came in second, while Eryn Marais finished third. 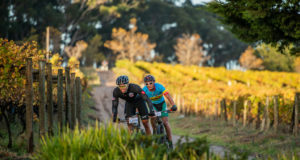 “Thank you to everyone who joined us at the fourth Fedhealth MTB Challenge at Boschendal Farm Estate! We hope you enjoyed the trails, the scenery, and the atmosphere… and that you got to relax post-race in true Boschendal style. Apart from the fitness aspect, our aim with this event has always been to create an opportunity for families to enjoy quality time together whilst embracing a healthy lifestyle. I’m delighted to see so many youngsters join their parents – keep up the good work!” says Jeremy Yatt, Fedhealth Principal Officer. The 2018 Fedhealth MTB Challenge is sanctioned by Cycling SA. Once across the finish line, all mountain bikers were treated to a foot massage in the Falke Foot Zone. The Festival Village was a hub of excitement with riders enjoying a Flying Fish beerwith a mouth-watering Spur Burger while listening to a live performanceby Newton & Co. SPECTACULAR SPECIALIZED PRIZE UP FOR GRABS: This year, two luckyriders took home a whopping R10 000 gift voucher (each) compliments of Specialized Bicycles Africa, a proud partner of the 2018 event. 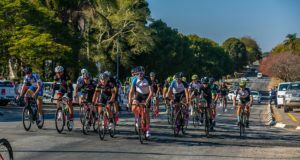 Additional sponsor prizes that were up for grabs included: Squirt Bike Lubehampers, THULElucky draw prizes and four BMT Bike Shop vouchersto the value of R2500 each compliments of Fedhealth. TURBO E-BIKE CATEGORY: This year theFedhealth MTB Challenge, in association with Specialized Bicycles Africa, also boastedaTurbo E-bike category. .
FREE ENTRY: Fedhealth members could enter free of charge – simply by typing in their membership number when entering online!